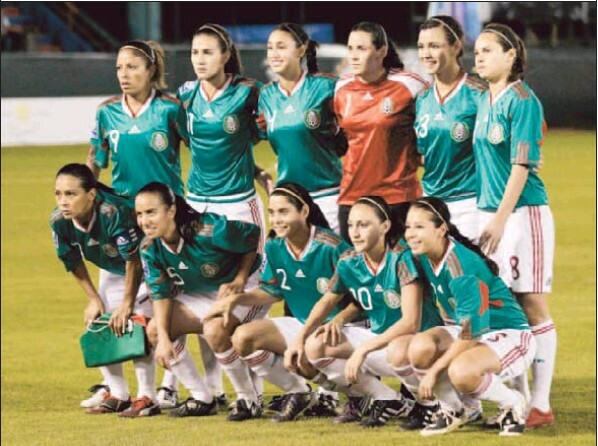 LA Times sports reporter Kevin Baxter recently published an article on Mexican American female players going south of the border to play for Mexico’s national team. This article is a follow-up to a previous article (“Athletes without borders” April 1, 2010) that focused on U.S. born Mexican American athletes playing in Mexico’s sports leagues and the Sports Games for Mexicans Abroad tournament. It is understandable why some Mexican American athletes decide to play south of the border. It allows them to get more playing time, prolong their athletic careers, compete in international games (Olympics and World Cup), improve their Spanish language and reconnect with their ethnic heritage. Although Mexico’s coaches and sports officials paint a romantic picture and readily accept them as “Mexicans” it is not clear what the responses are from teammates and fans. When U.S. born Mexican Americans visit Mexico they are often referred to as “pochos” or “pochas” meaning a person of Latin American descent who speaks poor Spanish and is “too Americanized.” Apart from the language barrier there are cultural barriers that makes adjustment more difficult than is revealed in both articles. Also, Mexico’s interest in recruiting Mexican American athletes is not a recent phenomenon. In my article, “Playing Across Borders” I trace the historic connection between the Mexican sports federation,Confederación Deportiva Mexicana or CODEME and the Mexican Athletic Association of Southern California. It was during the 1932 Olympic Games in Los Angeles that the Mexican government began recruiting Mexican Americans for its Olympic teams especially in boxing and track-n-field. Now that the Olympic Games in London is near the Mexican government is gearing up to recruit athletes from Mexico de afuera (Mexico outside of Mexico). This entry was posted in Latino sports. Bookmark the permalink.